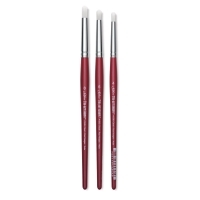 With more video content for beginning acrylic painters than any other YouTube artist, Cinnamon Cooney, also known as The Art Sherpa, excels at communicating her unique painting style. Hundreds of thousands of viewers subscribe to her YouTube channel to follow along as she transitions blank canvases into exciting and gratifying paintings. 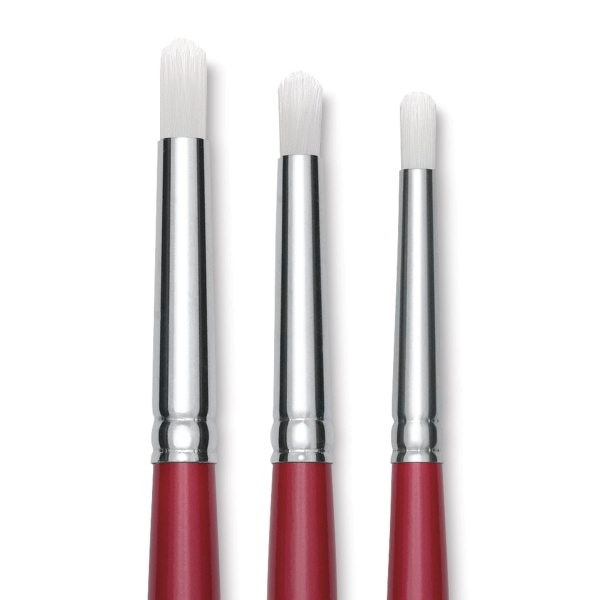 Designed to accompany Cinnamon Cooney's The Art Sherpa painting series, Silver Brush Art Sherpa Brushes accommodate heavy body acrylic paints as well as fluid and soft body media. 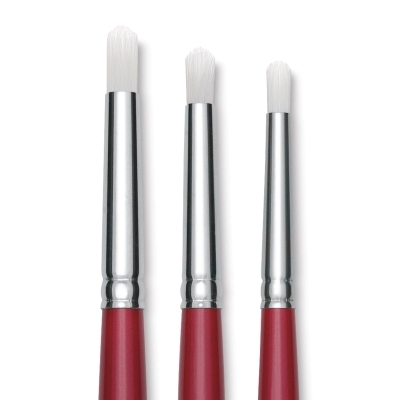 The Art Sherpa brushes are made from stiff, durable White Taklon, ideal for creating backgrounds, blends, clouds, stars, fine lines, details, and much more. 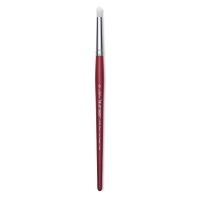 Cloud, Short Handle — Ideal for creating clouds, The Art Sherpa Short Handle Cloud Brush works well with heavy-body paints for scumbling and rough texture brushing. 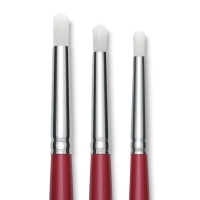 ® Silver Brush is a registered trademark.™ Art Sherpa is a trademark.